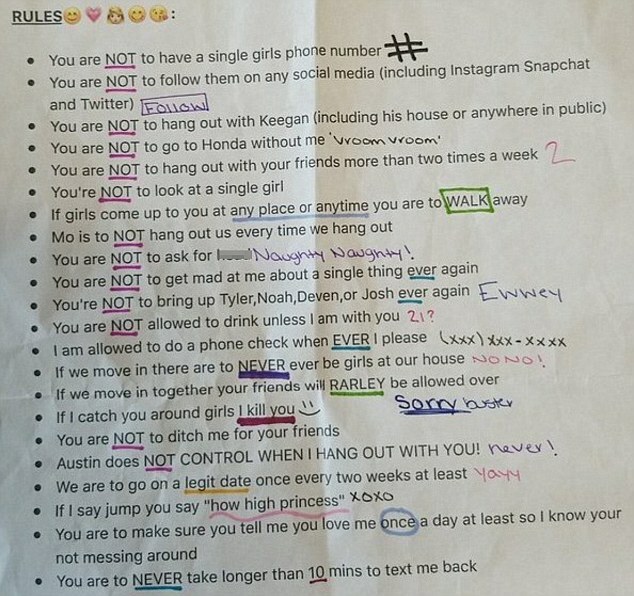 The demanding list of rules that a girlfriend gave to her boyfriend has made it onto social media, and it’s unreal. The 22 ‘rules’ an unidentified woman gave to her boyfriend was found in a car that he traded in and unwittingly left the inside the car. The list includes all sorts of demands that include that he is not permitted to interact with single women, not hang around with his friends, and must respond to her texts within 10 minutes. What self-respecting man would agree to a list like that?!? This is why when I was in high school, most of my closest friends were male. I can’t handle the drama, and I teach drama. Let’s hope that guy was able to escape the obvious abuse. Although the post was now deleted, according to Planned Parenting many people shared their opinion. Even though some people thought the list was amusing, many commented on how dangerous it was. ‘This isn’t cute or sweet or just for anyone’s own good, this is controlling,’ one said. ‘Wow….. he should run from that girl,’ added another. Are women more difficult to be in a relationship with? 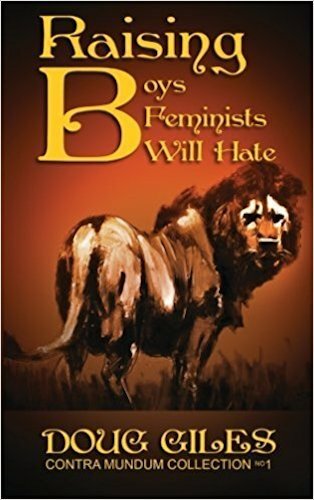 We’ve seen how nutty the feminist left can be. Parent, if you have a young son and you want him to grow up to be a man, then you need to keep him away from pop culture, public school and a lot of Nancy Boy churches. 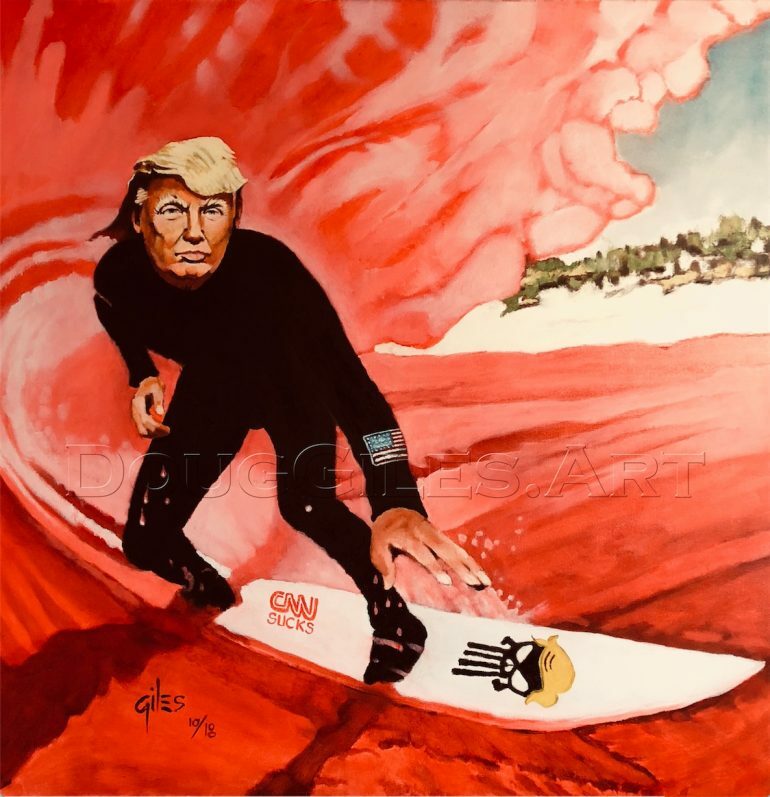 If metrosexual pop culture, feminized public schools and the effeminate branches of evanjellycalism lay their sissy hands on him, you can kiss his masculinity good-bye because they will morph him into a dandy. Yeah, mom and dad, if – if – you dare to raise your boy as a classic boy in this castrated epoch, then you’ve got a task that’s more difficult than getting a drunk to hit the urinal at Chili’s. Read this bold and hard-hitting guide by Doug Giles, the politically incorrect master, on how to raise your son in a world which more and more seems to hate masculinity.